There is no change to the FIM roadmap. Microsoft will continue to develop next version of FIM. 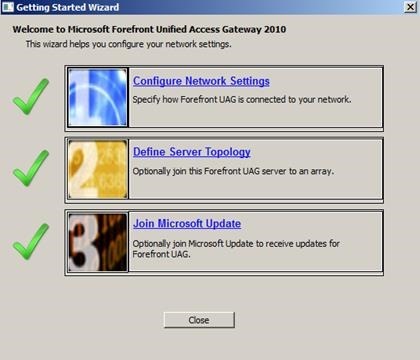 When you create a Forefront Unified Access Gateway (UAG) HTTPS portal trunk, only HTTPS requests that arrive at the Forefront UAG are handled by the trunk. This topic describes how to create a redirect trunk to automatically redirect HTTP requests made by remote endpoints to the HTTPS trunk. 1. Make sure that you have already created the HTTPS trunk to which you want to redirect HTTP requests. 2. 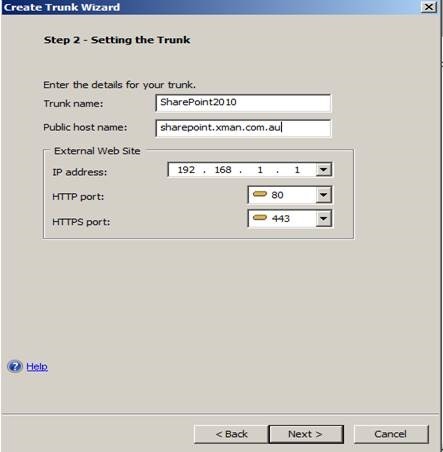 Make sure you define all the parameters of the HTTPS Connections trunk before you create the redirect trunk, including the definitions you make in the Forefront UAG Management console after completing the New Trunk Wizard. 1. 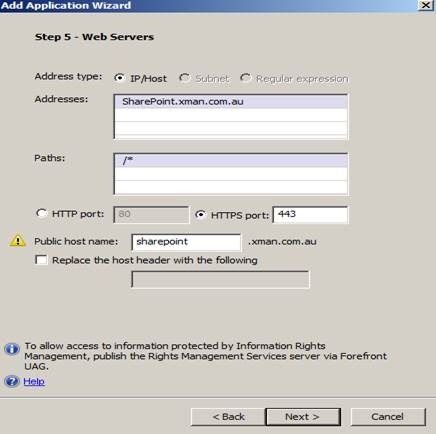 Update the IP address or port number manually in the relevant redirect trunk. 2. Delete the existing redirect trunk and create a new one. 3. 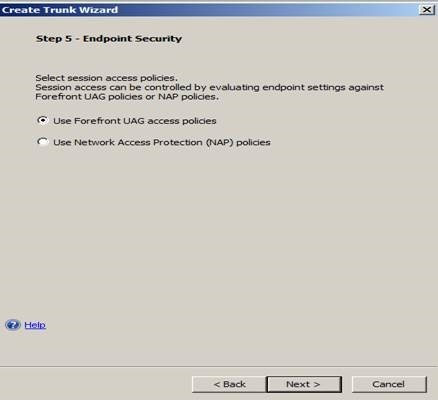 Redirect trunks are not monitored by the Forefront UAG Web Monitor. 4. Sessions in redirect trunks are not calculated in the session count of Forefront UAG. When an HTTP session is redirected to HTTPS via a redirect trunk, it is only counted as one HTTPS session. 1. 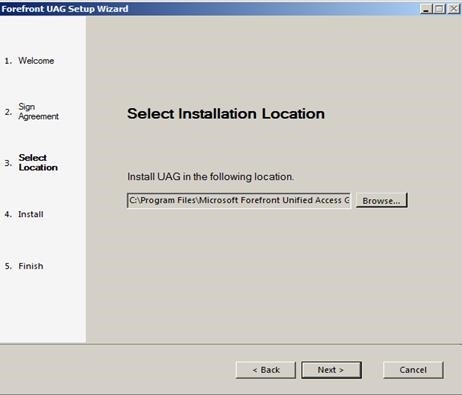 In the Forefront UAG Management console, in the left navigation tree, right-click HTTP Connections, and then select New Trunk. 2. 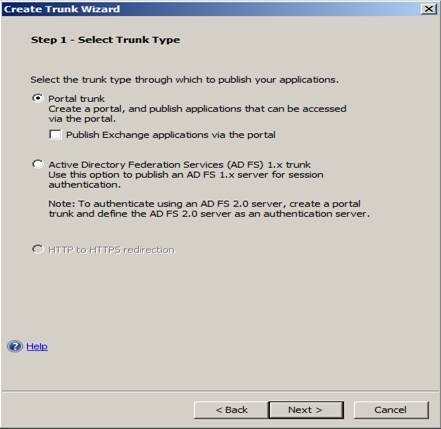 In the Create Trunk Wizard, select HTTP to HTTPS redirection, and then click Next. 3. All HTTPS trunks for which no redirect trunk exists are listed. 4. Select the HTTPS trunk to which you want to redirect HTTP requests, and then click Finish. 5. A new trunk with the same name as the HTTPS trunk you selected is created in the left navigation tree. 6. HTTP requests that arrive at the external Web site that is defined for this trunk are redirected to the HTTPS trunk you selected in the wizard. 2. In the Exchange Management Console, expand Server Configuration, and then click Client Access. 3. Select your Client Access server, and then on the Outlook Web Access (or Outlook Web App) tab, select owa (Default Web Site). 4. In the Actions pane, under owa (Default Web Site), click Properties. 5. On the Authentication tab, click Use one or more of the following standard authentication methods, make sure that only the Basic authentication (password is sent in clear text) check box is selected, and then click OK.
Click Add on the Authentication page, Type the name of the domain Controller, Click Ok. 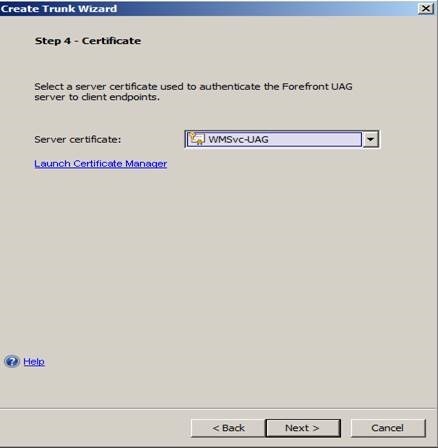 Select the certificate which is issued by public certificate authority, exported from mail server and imported to UAG server. Click Next. Don’t worry about certificate screen shot. this is a test environment. 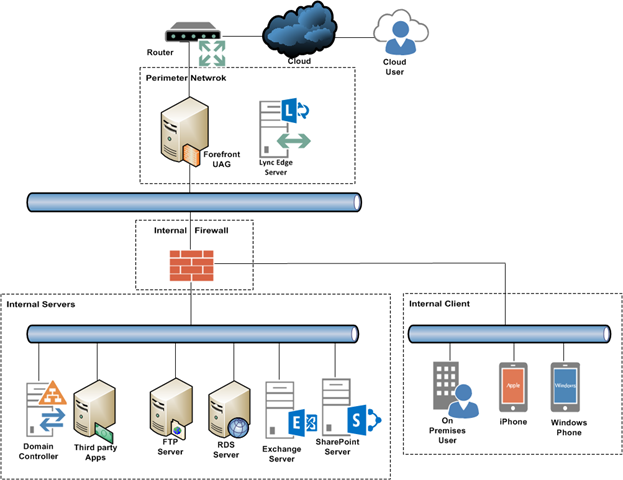 On the Deploying an Application page of the wizard, choose whether to publish a single Exchange Client Access server or a farm of load-balanced Exchange Client Access servers. In the Addresses list, enter the IP address or host name of the Client Access server. In the Public host name box, enter the public host name for this application. The public host name must match the FQDN in the certificate. The public host name can be the same as the public host name of the trunk, if required. 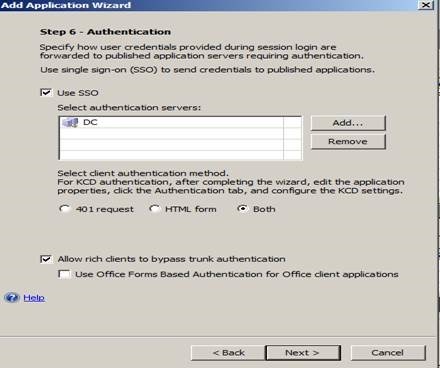 On the Authentication page of the wizard, select an authentication server to authenticate users to the application, and click 401 request. 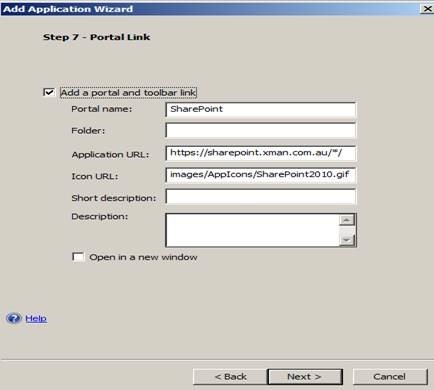 On the Portal Link page of the wizard, configure the portal link for the application. 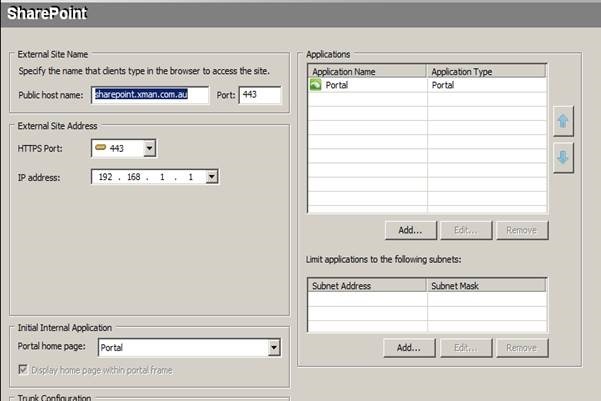 If you are publishing Exchange 2013 or Exchange 2010 and OWA is not the initial portal application, make sure that the Open in a new window check box is selected. 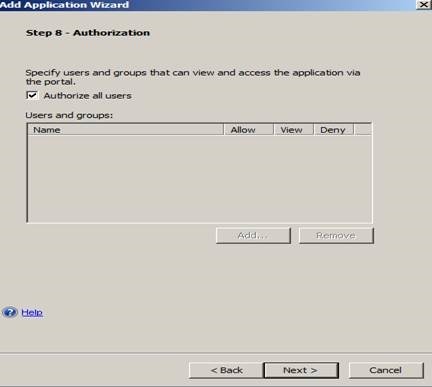 On the Authorization page of the wizard, select which users are authorized to access this application. On the Completing the Add Application Wizard page of the wizard, click Finish. Once configured, you will see the following screen. 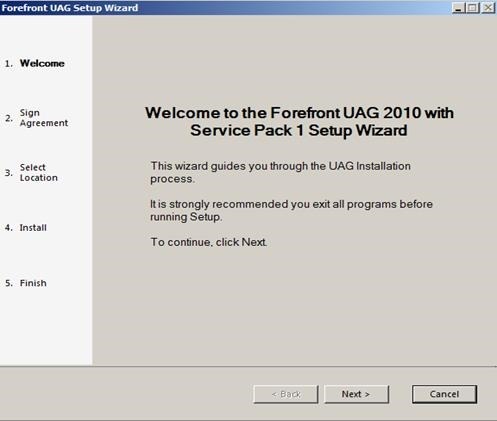 If you want to define the Outlook Web Access application as the portal home page, in the Forefront UAG Management console, in the Initial application list, click the application that you added in this procedure. 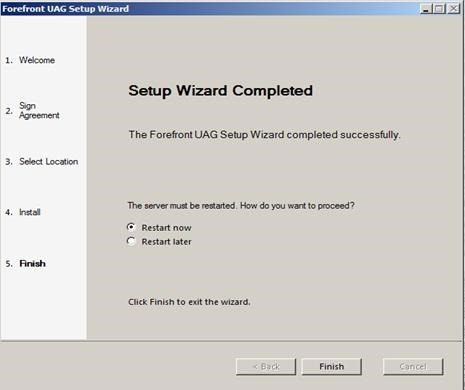 To apply the Outlook Web Access look and feel to the Forefront UAG user interaction pages, in the Forefront UAG Management console, next to Configure trunk settings, click Configure, click the Authentication tab, and then select the Apply an Outlook Web Access look and feel check box. Confirm the changes to the logon settings, and then click OK. 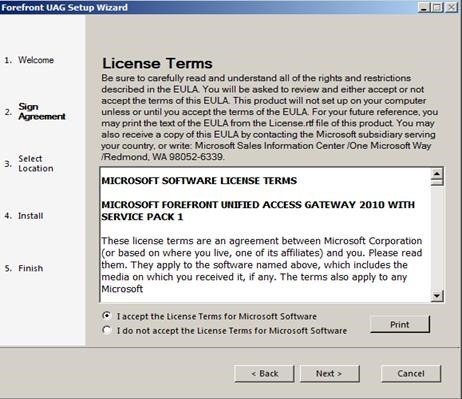 The following procedures describe how to export RemoteApp settings from RDS, and then publish RemoteApps and import the RemoteApp settings, via Forefront Unified Access Gateway (UAG). Before you can publish RemoteApp applications, you must export RemoteApp settings from RDS. 1. On the RD Session Host server, click Start, click Administrative Tools, click Remote Desktop Services, and then click RemoteApp Manager. 2. Ensure that the RemoteApp Programs list contains the programs that you want to provide to end users. 3. In the Actions pane, click Export RemoteApp Settings. 4. Click Export the RemoteApp Programs list and settings to a file, and then click OK.
5. Specify a location to save the .tspub file, and then click Save. 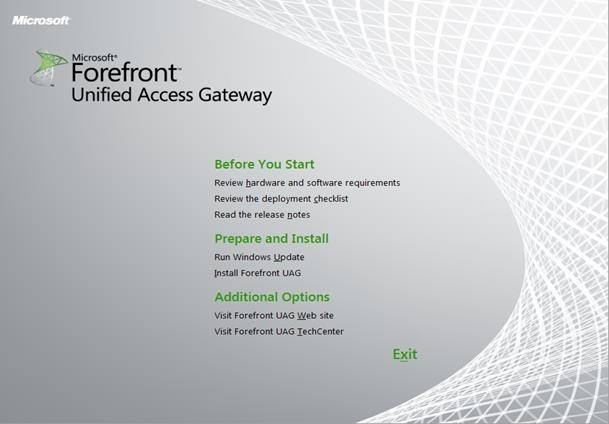 This procedure describes how to publish RemoteApps via Forefront UAG, and import RemoteApp settings during the publishing process. 1. 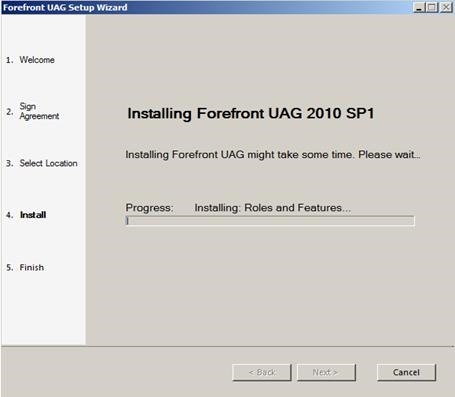 In the Forefront UAG Management console, select the portal in which you want to publish RemoteApp applications. 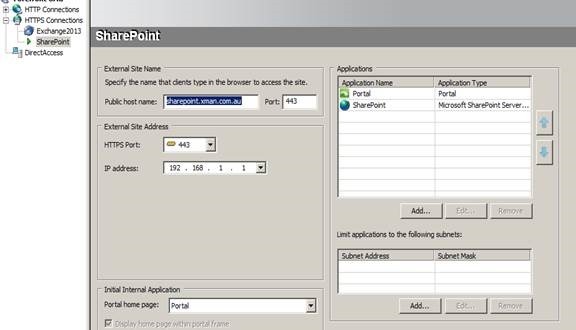 In the Applications area of the main portal properties page, click Add. 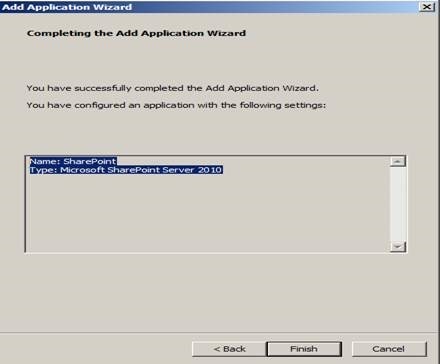 The Add Application Wizard opens. 2. 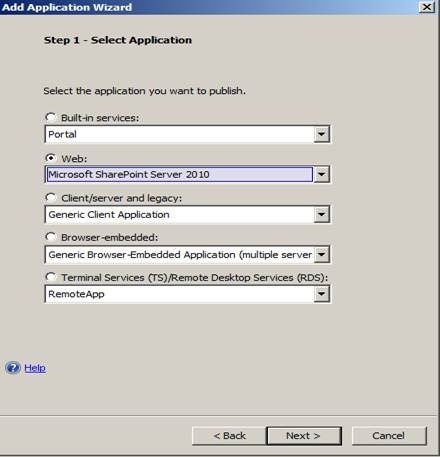 On the Select Application page of the wizard, select Terminal Services (TS)/Remote Desktop Services (RDS). In the list, select RemoteApp. 3. 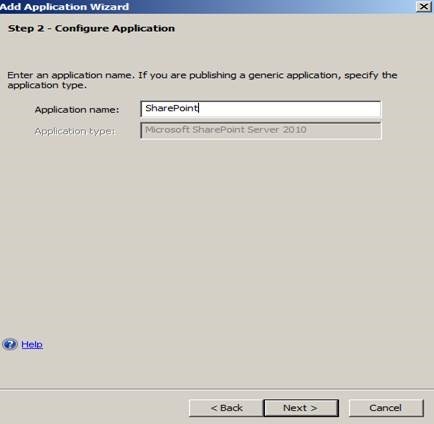 On the Configure Application page of the wizard, enter a name for the RemoteApp application. 5. 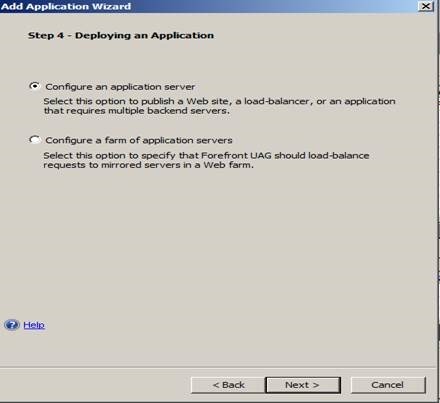 In Access policy, select a Forefront UAG policy with which endpoints must comply in order to access the published RemoteApps in the portal. In Printers, Clipboard, and Drives, select access policies with which endpoints must comply in order to access these local resources during remote desktop sessions. 6. 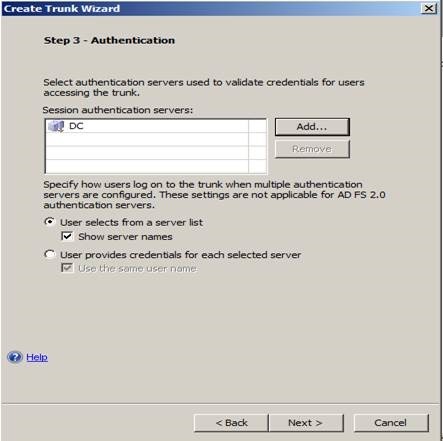 To enable single sign-on for the session, select the Use RDS Single Sign-On (SSO) Services check box. 8. 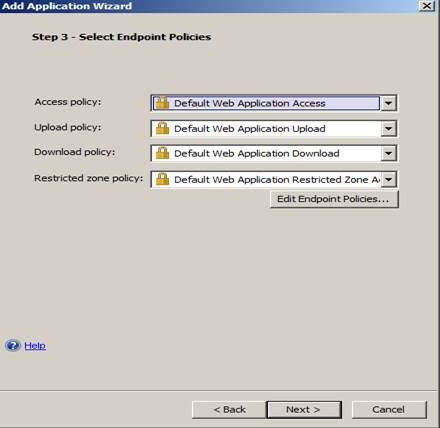 Select Require Network Access Protection (NAP) compliance, to specify that only endpoints that comply with NAP policy can access published RemoteApps. 9. Select Require NAP compliance for RDS device redirection only, to specify that only endpoints that comply with NAP policy can access devices and resources on RDS servers, such as drives, printers, and the clipboard. Access to other resources and applications on RDS servers does not require NAP compliance. 10. Select Do not require NAP compliance, if you do not require clients to use NAP to access the published RemoteApps. 12. In File to import, specify the location of the exported .tspub file, or click Browse to locate the file. 13. 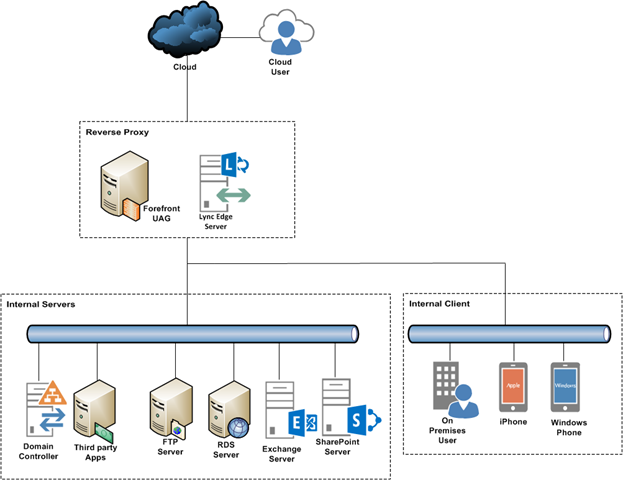 In RD Session Host or RD Connection Broker, specify the name of an RD Session Host (if different from that specified in the imported settings file), or the name of the RD Connection Broker server. 14. If you are using an RD Connection Broker server, in IP addresses, IP address ranges, FQDNs, or subnets, add the names of all RD Session Hosts that might be used by the RD Connection Broker. 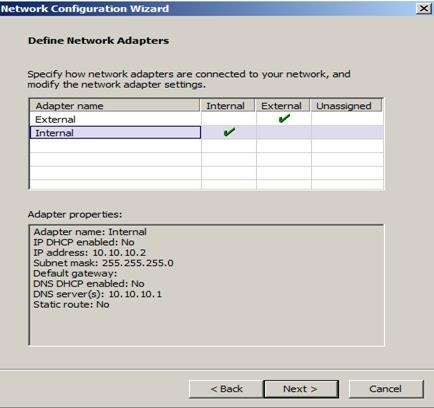 To specify multiple servers, use an IP address range or subnet. 15. On the Select Publishing Type page of the wizard, in the Available RemoteApps list, double-click each RemoteApp that you want to publish via Forefront UAG, to add it to the Published RemoteApps list. The list of available RemoteApps is retrieved from the imported .tspub file. 16. On the Configure Client Settings page of the wizard, specify how RemoteApps should be displayed. You can set a display resolution and color, or select to use display settings retrieved from the imported .tspub file. 17. Complete the Add Application Wizard.